'As We Come To Wake' (Workshop and reading). Glenn Trembath - Lighting Designer & Op. 'Loveplay' & 'Shadows of Angels'. Glenn has worked as a lighting operator and designer on a number of productions at various venues around Melbourne ­‐ most of them long enough ago that they are not even mentioned on the magic of 'the internets', and one of them just a few months ago with TBC (Love Play). Recently though, he worked on a production at the Old Magistrate's Court as well as TBC Theatre's productions of Loveplay and Shadows of Angels. 'Old Femme' in Shadows of Angels. Jennie has been acting in Sydney for many years and this is her first appearance in a Melbourne Production. She has performed in dozens of plays including Toy Box (Subtlenuance), NAGL (Auto da Fe Sydney), and in Credeaux Canvas (Sure Foot productions). 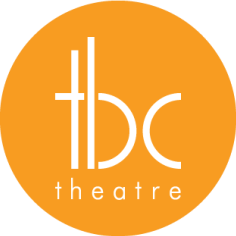 She is delighted to work with TBC in beautiful Melbourne and hopes to work here more in the future. Kazim is a graduate of WAAPA (2011) during his time there he played a wide range of roles including Beast's Man (Beauty and the Beast), Leaf Coneybear (Spelling Bee), Mingo (Crazy For You) and Paul San Marco (A Chorus Line) and many more. Prior to this he completed the VCA Foundation Music Theatre course and his childhood years were spent training at Centrestage under the direction of Ian and Leanne White. In 2013 Kazim also completed full time dance training under the direction of Robert Sturrock at Industry Dance. Since graduating Kazim has appeared as Johnno (Echelon Productions), Craige (Legally Brown), Chris (The Morning Show) and Metastopheles (Short+Sweet Melbourne fringe winner 2013). 2014 has seen Kazim to be the versatile performer he is, having done shows such as Ps: I'm Fabulous (Gasworks Theatre), Metastopheles for Melbourne Fringe (TBC theatre company) as well as Gallipoli (Chanel 9) and his first feature film Holding The Man with acclaimed director Neil Armfield. Kazim continues to work on his skill and craft with the ambitions of making the move over to the US in 2016. Kazim is proudly represented by Active Artist Management.